A meditation on life, with focus on research behind stories I've inherited from my family. I’m delighted, although surprised, that By Chance Alone (Max Eisen) won. After all, there’s been so much written about the Second World War. Haven’t we heard enough? No, apparently the topic still needs attention. Now, just because I’ve been obsessed with this topic since my own youth, I didn’t assume that others would still find it so relevant. The participants of that hellish time are fading fast. Now is the time to listen to those personal experiences. For my personal journey, the focus in not on the victims, but on the perpetrators. Both my parents were active in the war…as Germans. For me, to understand the enemy, is to understand my family…is to understand myself. That’s why I’m saving my pennies and my nickels for this summer’s adventure overseas. I need to understand how my father, at eighteen, joined the Luftwaffe. I need to understand how my mother walked through the East Prussian winter to escape the Soviets. I need to understand why they left that bombed out world to start again in this country…a country that has itself been ravished by the violent usurpers who now govern. So I have to read By Chance Alone and I have to read the others books. They’re relevant to my life and to the lives of my children who can’t help but take for granted all this good stuff…this free thinking and free moving society. The Canada Reads book discussion gives me hope. We aren’t all just navigating traffic around shopping malls. We're trying to understand why any of this matters. April, 2016, Broken Stone is a Manitoba Book Awards Finalist for Young People's Books of the Year (older category)! for Young People's Book of the Year (older category)! 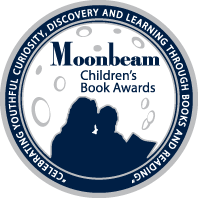 Moonbeam Books Awards - historical fiction category.